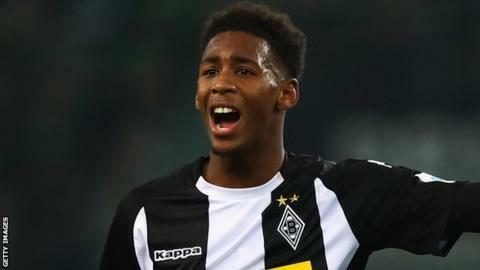 West Ham have recalled teenage defender Reece Oxford from his loan spell at Borussia Monchengladbach amid interest from Bundesliga rivals RB Leipzig. Oxford, 19, has played three league games this term and is understood to be keen stay with Monchengladbach as they target a Champions League place. The club have said they are in talks with West Ham about a permanent move. However, RB Leipzig are optimistic of doing an initial 9m Euros (£8m) deal, which could rise to 19m (£16.88m). Fifth-placed Leipzig, who are ahead of Monchengladbach on goal difference in the table, tried to buy Oxford in 2016 but could not agree a fee with the Hammers. At his news conference earlier on Friday, West Ham boss David Moyes said he would assess the teenager before deciding what to do. "I don't know Reece, I've never worked with him, so I'll take the time to have a look at him," Moyes said. "I know he has been talked of very highly and I hope we can help him but it'll take me a while to get to know what he does." Oxford became West Ham's youngest ever player when he made his debut as a 16-year-old in a Europa League qualifying tie against Andorran side Lusitanos in July 2015.